This is our weekly meeting, where we come together to be taught and equipped as we share the Good News on campus. It's a great time to catch up, worship, engage in prayer and listen to some great speakers! You don't have to be a Christian to come to CU Central, this time is open to anybody who wants to ask questions and learn more about Christianity. We often head to the pub/restaurant after these meetings, which is a great chance to spend time with friends and get to know new people. CU Central - what's on this term? We believe that sharing our stories of how we came to know Jesus can be a powerful way of sharing the good news of Jesus with whoever reads them! 'Real Lives' is where members of the CU share their testimonies online. Throughout the year we run ‘Big Questions’, offering a talk and free lunch in a room on campus. These are an easy way to invite people to engage with the big questions they are asking about Christianity, and to hear an answer from a Biblical perspective. This is a great time for fellowship, teaching, and a break from uni life as members of the CU spend time together over a weekend. Last year we spent an amazing weekend in Ashford, Kent. The Christian Union exists to share the Good News of Jesus Christ with students at LSE. Whilst we encourage each other to do this all year round, events week is an annual event where the CU come together to share the gospel on campus. We believe that we are called to be the hands and feet of Jesus, so we are excited to have opportunities to serve our campus practically. 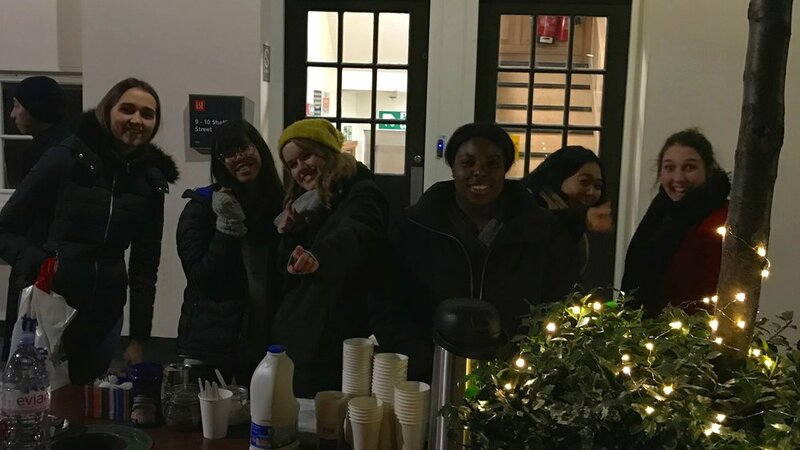 At SU club nights, we try to have a presence outside, serving water, hot drinks and biscuits and praying for people. Every year, a group of us head to Prestatyn, Wales, for Word Alive, a christian conference. It's a good chance to look deeper into the Word through great Bible teaching in seminars and talks, as well as a space to spend time with the CU family.